All Hanuman Jayanthi Pooja Orders received after 5:00 PM (IST) 04-Jan, 2019 cannot be executed on Hanuman Jayanthi Pooja Day (05-Jan-2019). Instead Pooja will be performed on the date selected by you and Prasadam will be sent to you. Hanuman Jayanthi, marks a symbolic acceptance of the human race's peaceful co-existence with nature and the worship of an animal as a divine creature. In Tamil Nadu, it is observed in the Tamil month Margazhi, which is one of the most auspicious months in Tamil Calendar. This celebration is especially important to Brahmacharis (celibacies), wrestlers and bodybuilders. Hanuman was an ardent devotee of Rama, and is worshipped for his unflinching devotion to the god. He is also known by the names Pavanasuta, Marutsuta, Mahavira (because he exhibited several heroic feats), Bajrangabali, Pavankumar, Balibima and Maruti. Hanuman was the Avatara of Lord Siva. 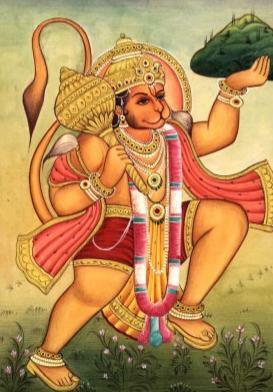 Hanuman possessed devotion, knowledge, spirit of selfless service, power of celibacy, and desirelessness. He never boasted of his bravery and intelligence. The world has not yet seen and will not see in future also a mighty hero like Sri Hanuman. During his life he worked wonders and exhibited superhuman feats of strength and valour. He has left behind him a name which, as long as the world lasts, will continue wielding a great influence over the minds of millions of people. It is believed that he who meditates on him and repeats his name attains power, strength, glory, prosperity and success in life. 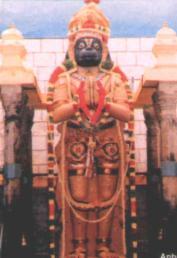 He is worshipped in all parts of India, particularly in the state of Maharashtra.